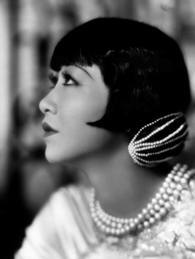 Anna May Wong was born in 1905 in Los Angeles. 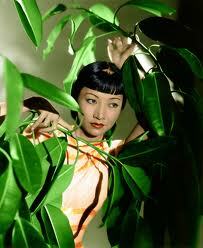 Her parents were second-generation Chinese Americans and ran a laundry in the Chinatown area. 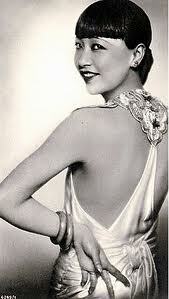 At the age of 17, she played her first leading role in The Toll of the Sea (1922). In 1924, she played opposite Douglas Fairbanks in The Thief of Bagdad, and the international success of this film made her the first Chinese American movie star. 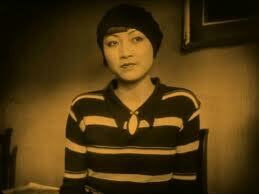 In 1928, Wong escaped the racist typecasting of Hollywood by moving to Europe, making her debut on the London stage with Laurence Oliver in The Circle of Chalk (1929), which caused a sensation in the UK. 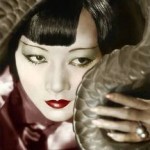 Piccadilly presented Wong in one of her most sensual roles, but she was not permitted to kiss her Caucasian lover; a controversial kissing scene was cut before the film was released. Wong subsequently refused to attend the premiere. She continued working in American and Europe on stage, screen and television, starring in the Oscar-winning classic shanghai Express (1932) with Marlene Dietrich, with whom she was romantically linked. 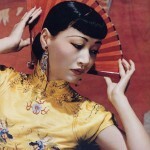 Wong was a fashion icon for over a decade. 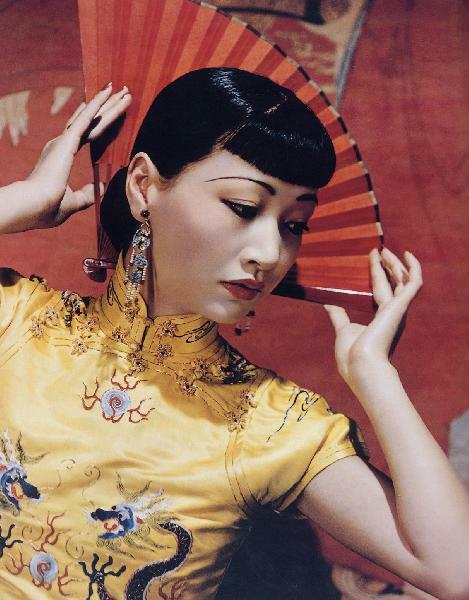 The Mayfair Mannequin Society of New York voted her “The World’s best-dressed woman”, and Look Magazine named her “The World’s most beautiful Chinese girl”. 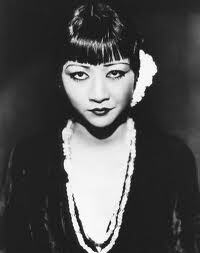 Her pioneering effort to broaden the diversity of western film and television was heroic, fighting against racist stereotyping all her life. 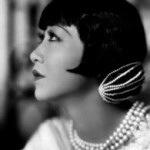 She portrayed an elegance and sophistication on-screen that made her the paradigm for East Asian women in later generations, and has left a legacy of more than 50 films that no Asian American actress has yet to equal. The toll of celebrity on Wong’s personal life manifested itself in depression, as well as in excessive smoking and drinking. She died aged 56 of a massive heart attack in 1961 in Santa Monica, after a long struggle against Laennec’s cirrhosis, a disease of the liver. Notes complied by Uma Jackson.